Unfortunately financial problems can arise for a variety of reasons. The main breadwinner may lose his or her job, suffer a severe injury or develop a debilitating impairment. In other circumstances the household may face increased expenditures and may scramble to reduce costs wherever it can. In still other situations, a divorce or other family event may fracture the household into two and require the households to stretch the funds that used to support one household to support two. Some people may decide to make up for these shortfalls by underreporting their income. Some are more brazen and decide that they won’t file or pay taxes at all that year. These decisions are usually based on some aspect of the belief that the time required for an investigation and enforcement action against the taxpayer would not be justified. They may claim to be just a small fish in a big sea or use other appealing language to justify their actions. But, the fact of the matter is that the IRS is willing and able to go after taxpayers regardless of their level of income or social position. The IRS has successfully pursued charges against major financial institutions such as UBS and Credit Suisse, a sitting US Congressman like Michael Grimm, and many others much less famous. If the IRS can secure a conviction or plea deal from individuals and organizations like these, it will not hesitate to pursue an individual taxpayer or business. How Should I Address my Back Taxes if the IRS has Already Tried to Contact me? You may have thought that your failure to file and pay taxes stayed off of the IRS’ radar, but one day you receive an official letter or even a call or a visit from the IRS inquiring about back taxes. The agent wants to know about your failure to file taxes in one or more years. If you simply respond with what first comes to mind, you may end up compounding your civil or criminal liability. That is, if you claim to have filed taxes when you know that you have not, you have intentionally lied to an IRS agent to conceal past tax mistakes. This type of conduct can lead to criminal tax charges. But, by contrast, if you admit to the agent that you failed to file taxes you have just admitted to a violation of tax code. The agent may then decide to inquire into your intent and purposes. If you aren’t careful, you may further compound your crimes here as well. Thus, what is a taxpayer to do if he or she is caught in a difficult situation like the one described above? In most situations the best course of action is to ask the agent or otherwise request additional time to gather and review your financial records. The IRS recognizes the gravity of this situation and, typically, will consent to a brief respite. Use this time to contact an experienced tax professional who can analyze your situation and then advocate and negotiate on your behalf. Can I be Charged With a Crime for a Failure to File? Yes, there are a number of felony charges that can be advanced should a taxpayer fail to file and pay taxes. To start, 26 USC §7202 criminalizes a willful failure to file or pay tax and provides punishments of up to 5 years in prison and $10,000 in penalties. Under 26 USC §7206 it is a felony to provide false information regarding a tax return or fraudulently concealing income to defeat tax. Penalties under §7206 include fines of up to $100,000 and up to 3 years in prison. In the case of a corporation, a fine of up to $500,000 can be levied. Furthermore, attempts to interfere with the administration of the tax system by threat or bribe can be punished by a fine of no more than $5,000, or a prison sentence of up to 3 years. If you have back taxes your first step should be to contact an experienced tax professional who can assess your situation and provide tax advice. In most situations, making some form of a voluntary disclosure can mitigate the consequences you will face. 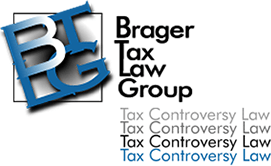 To discuss your concerns confidentially, call the Brager Tax Law Office at 800-380-TAX-LITIGATOR or contact us online. Our dedicated tax professionals offer a confidential initial consultation.